I am a graduate of Faulkton High School and South Dakota State University. At SDSU I obtained my BS degree in Family and Consumer Sciences Education. I began my teaching career at Tiospa Zina Tribal School, in Agency Village, SD. I returned to FHS in 1998 and am beginning my 19th year as the FACS teacher. I am a Nationally Board Certified Teacher in the area of Career and Technical Education. My husband Ryan and I live on a farm outside of Faulkton and have four children; Morgan, Peyton, Addison and Spencer. 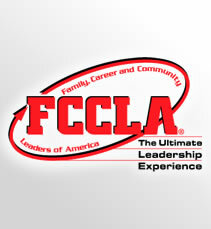 Students enrolled in a FACS class are eligible to be a member of the Faulkton FCCLA chapter. Students work along-side community organizations and businesses to complete projects and offer service, education and leadership opportunities. Student leaders have the option to compete in STAR events on district, state, and national levels. We are proud to share that in the last eighteen years our school has been represented with one national officer, six state officers, and twenty region/district officers. Students have served on over twenty state peer education teams and over fifty students have represented our chapter and the state of South Dakota as National STAR Event Participants. This year the SD FCCLA President is Abbi Quinn, a senior from our chapter!